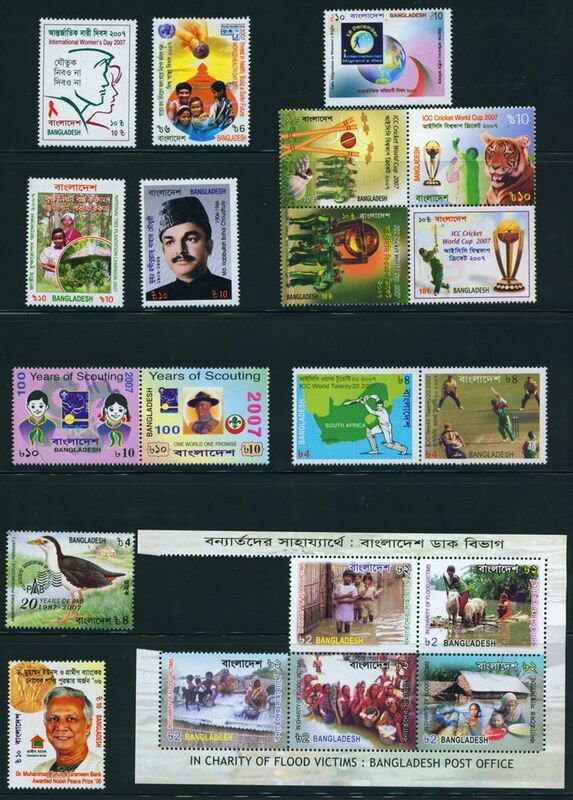 Bangladesh Year Collection MNH 2007. Online shop for stamps, postal history covers, postal stationery. Topical covers and stamps. Bangladesh new issue information. Online auction. 11 issue contain 15 stamps + 1 Sheetlet. Will be packed in glassine paper packet or PP packet. Vario sheet used in shown image is for scan purpose only.